Exped brand Canoe type dry bag. 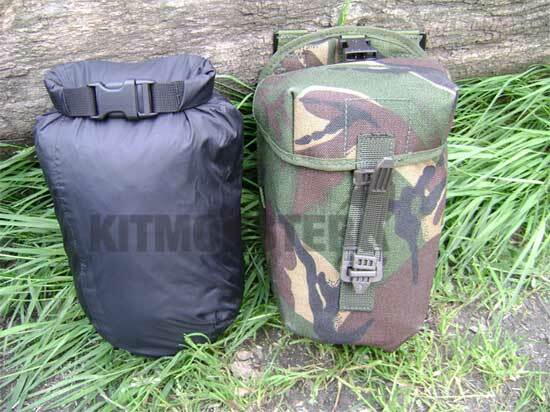 3 litre capacity, fold and roll closure with quick release buckle and hanging/grab loop on base. Lightweight, soft but durable black Taffeta nylon with PU coating and heat taped seams. Material resists 10,000mm water column. 100% water and dustproof. Suitable for smaller kit items in your pack or as a PLCE pouch liner. PLCE Utility pouch for scale only, not included.